In the lighting market, energy efficiency determines the quality standard. Lighting products made of mirror aluminum sheet for lamp can increase energy efficiency by up to 30%, and high-efficiency lighting concepts make energy-saving efficiencies as high as 50%. The mirrored aluminum lamp body is made of rust, oil, rust and electrostatic powder coating, which is beautiful and durable, and is not easy to rust and gives more space and flexibility to modern architectural design. The lamp reflector is made of mirror aluminum sheet 1050, 1060, 1100, 3003 and 5052, which is unchanged for 10 years. The reflector is designed with the latest curves for even light and less glare. With the aluminium mirror sheet as the light reflector, the lamps has the features of high illumination, light efficiency is 30% higher than ordinary lamps, illumination is increased by 25%, energy saving is about 40%, improves the safety of the lighting circuit. The applicable places of the mirror aluminum lamps are offices, conference rooms, shopping malls, business halls, schools, hospitals, other indoor areas with large area lighting. With recycle-able ability, the mirror aluminum sheet for lamp is more environmental friendly, with light weight, low cost, high performance, saving energy, the aluminum mirror sheet has been the preferred material for lighting industry. 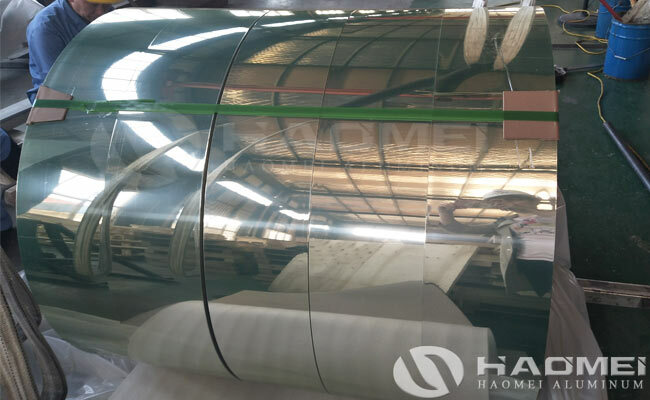 In addition, with good decorative effect, the mirror finish aluminum sheet is very popular in decoration industry.